Innovative promotions provide creative ways to connect with prospective buyers. Whether your business is just getting started or it has operated for many years, brand awareness is needed on a consistent basis. Aerial Marketing is the perfect solution to use in conjunction with your current promotional strategies. A large share of marketing professionals are hoping to get a tiny percent of patrons to notice an advertisement within a sports brochure or that is printed on a ticket stub. 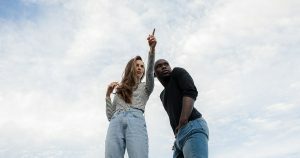 Marketers who try Aerial Marketing Services from Cloudvertise are realizing that nearly everyone in the stadium will notice our high-flying promotions. In fact, it’s the primary reason that we provide Aerial Marketing Services for the Chick-fil-A Bowl and for the Outback Bowl year-after-year. Imagine how many people will see a banner ad that is attached to a wall or a fence. Next, imagine what happens when a patron notices a banner ad at a sports event. Typically, folks will be fairly emotionless. Now, in a packed stadium, where patrons are focused on the field, imagine how many people will see Floating Logo Clouds that are launched from the center of attention. Also, imagine the reaction that consumers have when branded images are soaring above the stadium. Consumers focus on eye-catching Aerial Attractions that retain their attention for longer time frames than printed ads or banner display ads. A brand is winning when consumers are smiling and pointing at its images. Unless a marketer uses recycled products to create flyers, brochures or banners, the materials are often scattered around a stadium. Some of the items are thrown away several blocks beyond the stadium. Pollution does not solely occur on the ground. Marketers with good intentions are largely unaware of the harmful effects that some promotions may have when certain items end up in our waterways or within the atmosphere. For instance, hiring skywriters or a company that uses a small airplane to pull banner ads will also pollute the air above with various fossil fuels. Cloudvertise uses environmentally-friendly products to create Floating Aerial Images that will safely evaporate in approximately an hour. Aerial Logo Clouds are also more cost effective and more affordable for marketers. 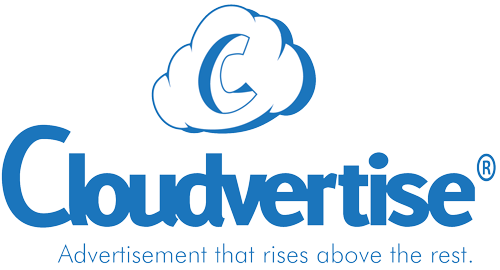 Contact Cloudvertise today to get more information about ways that our high-flying promotions can help your business attract more customers.